Recognized by Newsweek as the top transformative high school in the nation for three years in a row, The Preuss School UC San Diego is a unique charter middle and high school for low income students who strive to become the first in their families to graduate from college. With nearly 100 percent of our graduates going on to higher education, Preuss shapes more than minds, we shape futures. Preuss School Principal Scott Barton was honored recently by the La Jolla Rotary Club with a Vocational Services Award. Congratulations, Mr. Barton! Tiffany Majors, an English teacher at The Preuss School UC San Diego, has been named the statewide High School Educator of the Year by the California League of Schools. Our boys soccer team is raising funds to provide each student-athlete on the team with a training kit—including three shirts, three shorts and one warm-up suit. Join us in helping our students succeed both on and off the field! 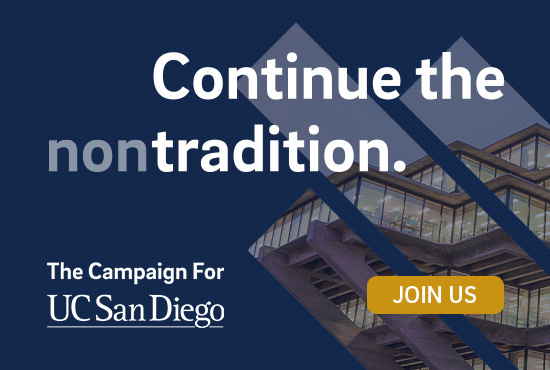 As The Preuss School UC San Diego celebrates its 20th year, Triton Magazine looks at how far the school has come. For Preuss parents and families.